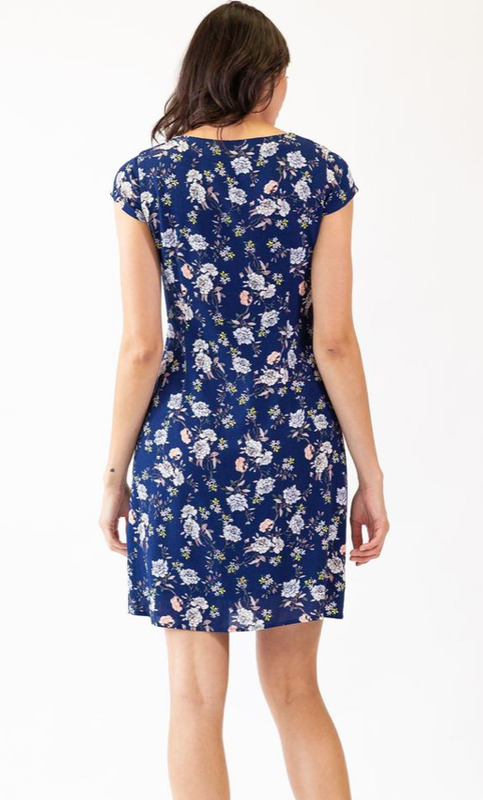 The NYSSA is a navy beauty with capped sleeves and buttons along the front. 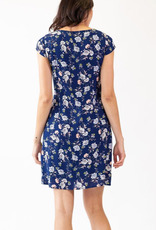 The floral pattern creates a romantic look, accompanied by a modest V-neckline. Wear yours with a long cardigan and a pair of sandals.